June 2016: This info is old info, but it shows how things change or are processed here in Cape Verde. The contacts named below are no longer able to assist with your current enquiries, so this is just background information! :Property owners on Sal who are due to pay their Annual Property Tax for April 2014 should contact the Camara to ask what amount they now need to pay for annual property (IUP) tax. If you paid this tax prior to 13th March, it may be worth checking if the amount you needed to pay has changed. Some people have now been given a revised figure to what they were asked to pay earlier in March. 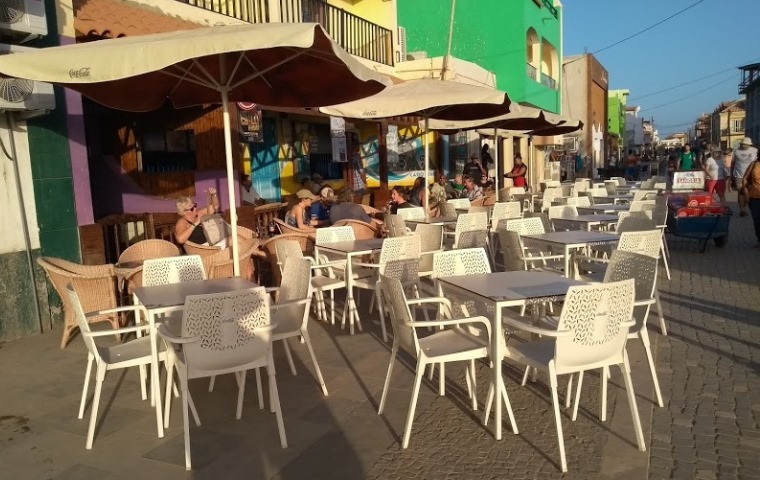 People who have paid their annual property tax on Sal Island between May 2nd and May 14th 2012, should contact the City Hall (Camara Municipal Do Sal) to see if there is a need to make any adjustment or refund values. Please read the attached document which is in English. You can also find below, contact details of the person you need to email at the Camara Municipal Do Sal if you have further queries about the Annual Property Tax (IUP). The City Council also informs that, under Article 26º of the aforementioned law, during the months of May and June of this year, the Council’s Treasury will be open for the voluntary first payment of the 2012 tax installment. Exceeded the voluntary tax-collection period, if you hadn’t paid the first installment, it will fall into arrears being therefore increased by 1% interest on arrears per month, plus 3% penalty interest on the total debit balance. Please also scroll down the page to read notes about 'online payments', international bank transfers and 'bank details'. Email subject: Cape Verde Tips - IUP info. 1. When you buy, inherit or are given a property you must pay 3% property tax. 2. Pay an Annual Property Tax. This is the link for the Decree Law (in Portuguese) which has been provided by the Camara Municipal, Espargos, Sal Island. (REF law:- Lei n° 79/V/98, de 7 de Dezembro. - Decreed from: Decreto – Lei no 18/99 de 26 April 99). You can pay your IUP at the Camara Municipal Building in Espargos or the Delegacao Municipal office which is situated near to the Correios (Post Office) in Santa Maria. For online payments see details below. If your annual calcualted tax amounts to over 5.000cve, the law states that you can pay 50% between 1st April – 30th April and then the 2nd 50% between 1st – 30th Sept. (Ref: Article 26). If the annual amount due to be paid is less than 5.000cve you must pay the full amount in the month of April each year. The amount of property tax you pay in April and September, is for the previous year. The tax paid this year (2011) is related to the period from January 1 to December 31, 2010. If you registered your property for the first time in 2010 you will not have been subject to tax until 2011, your tax for 2010 will be calculated from the date the property was first registered by you as the new owner. Those that registered their property for the first time in 2010 will have to pay the new calculated property tax. The owners that will pay the IUP for the first time this year, will be subject to the new formula for calculating the IUP. VALUE : The Camara base their calculations on what the owner declared was the valuation of the property for tax purposes when they registered the property. If you can't remember what you declared as the value, you can contact the Camara and they will be able to tell you what it is. The value of your property as recorded with the Camara, divided by 20 and multiplied by 3% (in some cases were reduced by over 15% of the costs of conservation). In the first month in which the value is in debt, interest rate and relax is 4% (1% +3%), and that in the months following benefits increased by 1%, cumulatively. The two amounts should be analyzed separately but equally. Because there have been problems with the computer system during the month of April, the Câmara decided to extend the normal period of recovery in this year 2011, until the month of May. So, interest and relaxation rate, will increase only from June of this year (if the owner does not pay tax on time). The new calculation will also include the late monthly payment interest (as above). The new calculation is not exactly new. The 'new' calculation was actually introduced by the government a number of years ago. The programme that was introduced and adopted by the by a number of Camara Municipals on a few of the islands, including Sal had an error in the calculation, therefor people owning property on those islands who had been paying IUP were not paying the correct amount, they were underpaying. The error in the calculation was identified last year, this is why the Câmara decided to introduce the new calculation on Sal. Islands that had not previously introduced the programe for the calculation may have just followed the law which stipulated the correct calculation. (Value of property x 25%) x (1-15%) x (3%). Value of property = 3000000 x 25% x 0.85 x 3% = 19125.00 cve. I have been informed that this new calculation effects everyone - local people, foreigners, businesses and hotels etc. If you wish to make further enquiries regarding the above please contact your Management Agency or your lawyer as the information above is meant as a guide only for property owners, the rules could change at anytime from this date without notification. Please feel free to share this information with owners on Sal, within your resort i.e. Vila Verde, Paradise Beach, Tortuga Beach, Dunas Beach, Porto Antigo (1, 2 and 3) or other. Please quote: 'Cape Verde Tips - IUP info' in your email. If you have property on other islands you will need to contact the Camara Municipal on the island on which your property is situated. NOTE: Staff at some of the Camara offices may not speak other languages. 'Regarding the payment, people can make international bank transfer to the bank accounts of the Municipality, as long as they want. We provide the account number and the data, so that they can make transfers.However, We ask them to send us the evidence of the transfers, so we can confirm that the value was received on the Camâra Bank’s account, or not. When this is done, we send them the receipts, by email or by post if they prefer (for this they need to send us the address to where we should send them). NOTE: We also warn that they should always pay the bank charges, because when they do not, value is deducted and the money that goes into the account of the Câmara is less than the debt (the tax), and so it is hard to issue the entire receipt'. The Câmara has accounts in different banks (BCA; CECV, BAI, BCN, BI, BESCV), and they can send you the details of the bank that is more advantageous to you/owners. The Municipality of Sal, has decided to create the Office of enforcing payment for recovery of debts. We have an oceanfront property in Porto Antigo 2 that we bought only in May 2010. In April this year, I was in Camara Municipal several times to pay our IUP for the first time. I was quoted the amt. of ESC97.709 and thought this was a mistake. It was too high compared to what other property owners declared to be paying. I know that many have under-declared the value of their property for tax reasons but we did not.